WTS Edmonton Sprint (2016) – first run strung out, caught leader on bike, work together in two-man breakaway, outrun by Alexandre Lavigne for the win. Esprit Montreal Sprint (2016) – solo run/bike breakaway, caught on last lap, spent ~1/2 lap in lead breakaway, winning move made out of T2. 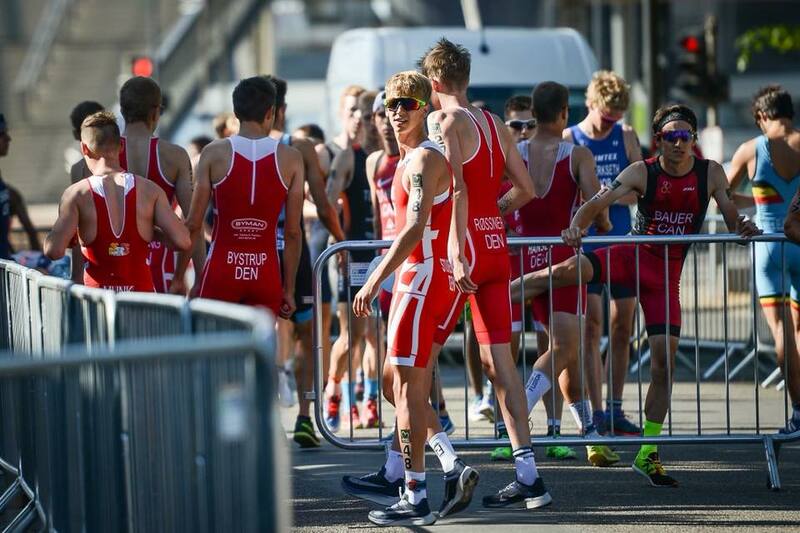 ITU World Championships (Penticton 2017) – planned to race AG but selected for Elite race, dropped early on first run, missed group on bike, limped home solo. Duathlon de Boucherville Sprint (2017) – led solo wire-to-wire, won by 2:30 as chase was focused on provincial title coming from within group of 4. Overdrive Sprint (2017) – tried to lead solo wire-to-wire, caught by Garrick Loewen on last lap, made crucial transition mistake and was outrun. USAT Duathlon Championships Sprint (2018) – front pack run, led out of T1, breakaway caught, crucial positioning mistake on last lap and was not able to close gap to podium. As you may or may not be able to tell from above, of the 6 draft legal races I’ve done, I’ve spent significant time in a group larger than 2 (including myself) in exactly *1* of them. 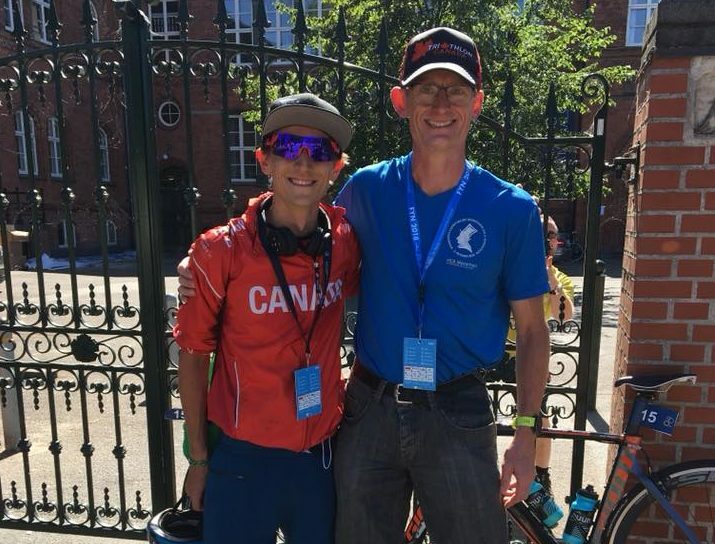 Luckily, I get to do a significant amount of my training with the Edmonton Triathlon Academy under the watchful eye of Kevin Clark, and only this year have I become more confident in my ability to stay at the front of a group controlling the pace. We do a lot of race simulation work on tight technical courses, so going into my first European race I was hoping I could avoid some of the “crucial positioning mistakes” that plagued me in the past. I managed the pre-race relatively well this year. 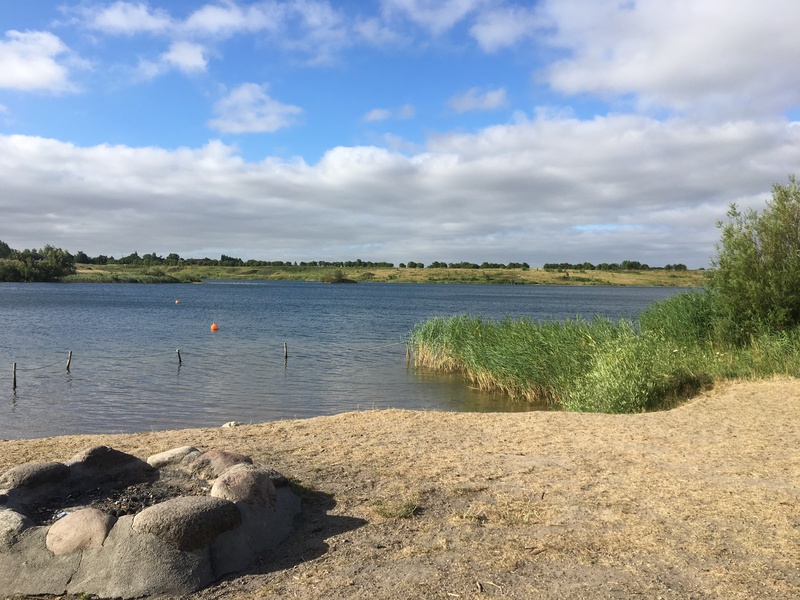 I flew in to Odense early (June 30) and took advantage of a homestay generously offered by Odense Triathlon Klub member Bjarne Johansen. Bjarne and his family made it really easy to adjust to the time zone, culture and available food options. Bike familiarization went smooth, so did the briefing and sign on, and I entered the race chute calm and collected…a stark contrast to my state in Penticton! On the last lap of the first run, I made my first decision. In Penticton I rode up to my target on the bike only to find him not 100% and unable to help. In the process, I lost the wheel of Yannick Wolthuizen, who I didn’t know anything about pre-race but would go on to bridge to the chase pack. With this in mind, I pulled up on world #1 Søren Bystrup (DEN) during the last lap. Søren is a Powerman specialist who had a good chance of riding himself back into the race. I thought I could link up with him into T1 and up to a chase group. However, my experience in Penticton led me to pass him and attempt unsuccessfully to bridge to the next group. I exited T1 in between groups, with Søren and two super strong Dutch riders somewhere behind me. Coming into the race, I had planned to put my head down and ride my own race until the first right-hander onto the bridge, and if one of the solo riders sprinkled up the road was strong enough to help me then chalk it up as a bonus. Instead, I rode up to the first rider on the road and chose to sit in and work with him. He was able to take 1 turn before eventually dropping out. I was left to forge on solo, bleeding precious time to the group forming up the road. Shortly after that, Bystrup and the two strong Dutch riders that I had left behind in T1 came flying past and urged us to hop on. I turned off my brain, put in a huge effort to get on, settled for a second and switched back on, watched another gap open and was blown out the back. It happened in seconds. That group rode up to the main chase with some of the fastest bike splits in the race, while I was left to stave off elimination 5 minutes down the road. These three decision points crossed a span of ~10 minutes of my 1:47 race time, and completely defined it. The group went up the road while my calves cramped up behind my knees from the effort of trying to get on their wheels. The cramps worked themselves out by the end of the first lap, but all my allies had gone by then. Would I have been able to ride up to the chase pack with them without being blown out the back? Maybe not, but I would have given myself a chance. The rest of the race was actually quite thrilling. Relieved of my cramps, I found I had some great legs on the bike. Knowing that my day could end if I didn’t use what I had left, I buried my head and rode myself up to Niall Cornyn (IRL) and Vincent Onyango (KEN). I was the strongest in our trio, so I started taking 40-60 second pulls to theirs of ~10-15 seconds, while dropping them out of the corners. my work dragged us up to the Ciprian Balenescu (ROU) and Christian Stounberg (DEN) right around the time we saw the lead moto coming the other direction leading out the eventual podium of Andreas Schilling (DEN), Yohan Le Berre (FRA) and Mark Buckingham (GBR). I sat in for a bit of recovery, then we went back to work with our races hanging in the balance. We lost Vincent out of the two right-handers going onto the bridge, and then watched him get pulled off the course before the turnaround. That spurred on a desperate race to the lap turnaround before we suffered a similar fate. We made it with about 150m to spare. The group didn’t seem interested in riding anymore, so I tried a fruitless attack before settling in for the last run. I charged out of the underground transition and started to gap the group I was with. I steadily increased the pace over the first two miles before tying up and slowing in the final mile. I was caught by my Irish compatriot and ran with him until he turned the screws as we re-entered Kongen’s Have for the final time. Final score – 39th place (1:47:31)…click for more! Am I happy about the result? Not really. If I was, then I should probably start thinking about moving on. Am I pleased with my progression to this point, and the fact that not only did I attack the bike course but was also the engine room of my bike pack? Absolutely. Did I learn a ton and have a week that I’ll never forget? Definitely. Special thanks to my parents and AG Team Canada for the oodles of support throughout the week and on the course, and to my host Bjarne and his family, for ensuring that I was able to navigate a new country smoothly and successfully. Until next time…keep Du’ing it! IM Texas next week notwithstanding, Lionel’s resume speaks for itself. No one is on his level in Canada. The people in the WORLD on his level are world champions of various flavours. Kudos to Lionel for supporting a local race that’s close to his heart when he clearly has bigger fish to fry next weekend. After Lionel it gets a little more muddled, but these two are my bets. Thierry is a beast on the bike, and would likely be the odds on favourite in any other race. Course record holder on the local TT courses, Thierry should be able to run just well enough and ride his way onto the podium. Prakash spent most of last year injured, but he has the pedigree for a strong run when healthy, and recent TT results seem to indicate that his bike is coming along as well. These two are more unknown when it comes to form, but are genuine podium threats on their best day ready to pounce if anyone has a bad day. 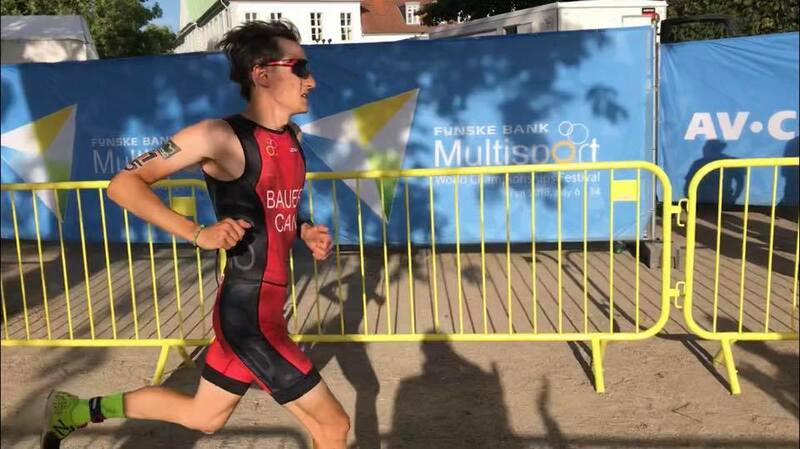 Ryan’s exploits are pretty well known in the duathlon world, as he dominated in Tecumseh and Chatham after spending the year honing his run form. When healthy (which has been an issue this winter), he can run with anyone in this field. DeMarco had a strong performance at last year’s Iron Hawk and is actually the highest finishing returner not named Lionel. These three mainstays on the circuit are all be strong enough to challenge the top 5 on a good day. But betting against Daryl Flacks despite being a long course specialist just revs him up to prove you wrong, so he’s probably going to be the one to find his way into the top 5. Brad and Shayne are cut from opposite sides of the cloth, with Brad being a slightly stronger runner and Shayne a tad stronger on the bike. The local knowledge these three have of riding and handling a bike in the Essex crosswinds could mean significant seconds gained. It will be interesting to see how these two young talents stick it out with the veterans above, as their improvements in their weaker disciplines are a real wild card here. 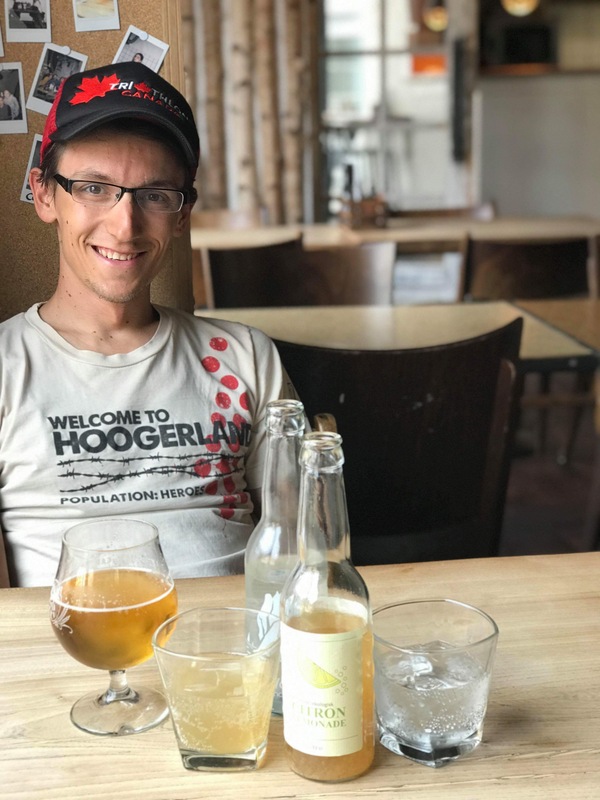 Spencer is pretty handy at riding a TT bike, and Chris usually runs with the front group and was a very solid high school track/XC runner. The question with these two is will they be able to limit their losses. From what I’ve heard, the BP crew has had them working hard so with a little luck and a lot of suffering, these two could surprise on Saturday. So how will this race play out? I apologize for the lack of pictures, or a women’s preview. This was wrapped up in the car on my iPad on my way to Penticton, and I was not able to find pictures or enough information to do a women’s preview. Just remember, this is all in good fun. I have a ton of opinions, and most will be wrong. Feel free to prove me wrong on race day :). All I’ll know is that it will be fun to follow. Someone PLEASE snap a picture of the results and tweet them out to me (@duitjessebauer) so I can catch up after my own race. And have fun! Until next time, keep Du’ing it!